Christmas Memories, Ambiance Diffusion blend - 10ml This popular holiday blend combines the traditional oils of the season- Fresh and spicey! Pure & Natural Grade for Diffusion Includes Scotch Pine, orange, cinnamon and other spices. Pomander, Ambiance Diffusion blend - 10ml A warm and spicy fall and holiday blend based on the fragrances of the traditional pomanders which were used in Victorian times to refresh rooms. 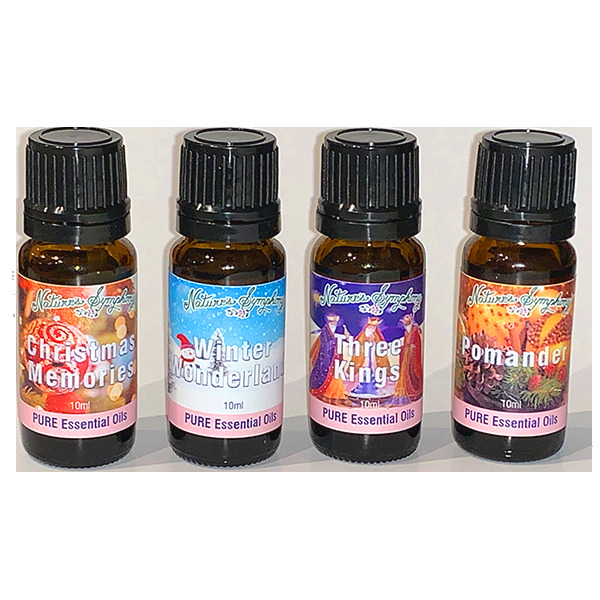 Pure & Natural Grade for DiffusionIncludes orange, cinnamon, clove, nutmeg, and allspice.